Are rare old books that sell for millions of dollars dripping with gold? To answer that question, let’s consider three of the most expensive books ever sold at auction . . . The Codex Leicester, $30.8 million – That’s what Bill Gates paid for this book in 1994. It’s one of Leonardo da Vinci’s notebooks. The St. Cuthbert Gospel, $14.3 million – This small book is believed to be the earliest surviving intact handwritten European book. It achieved that jumbo price at an auction in 2012. 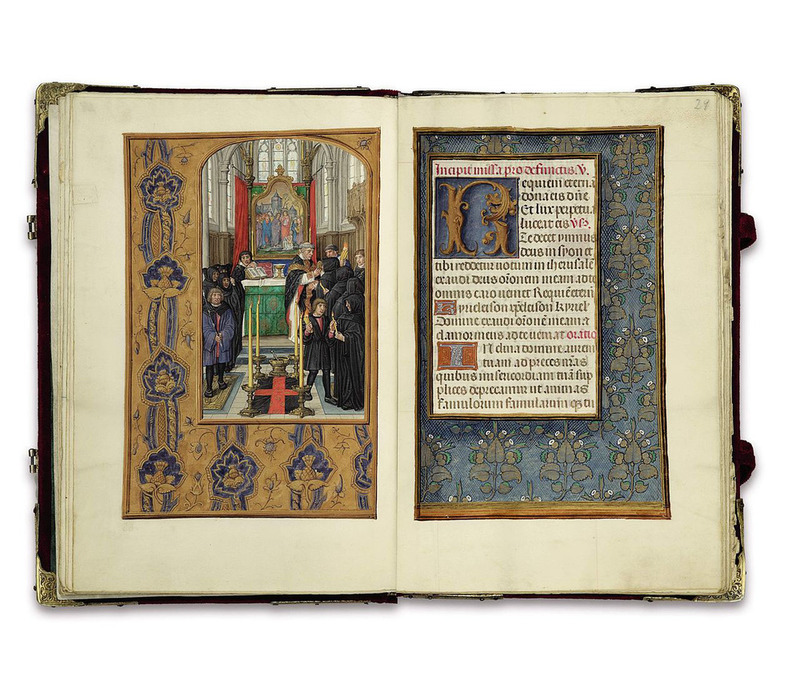 The Rothschild Prayerbook, $13.4 million – This one-of-a-kind illuminated manuscript contains 254 Flemish miniature illustrations. It fetched that sum at an auction at Christie’s in 1999. 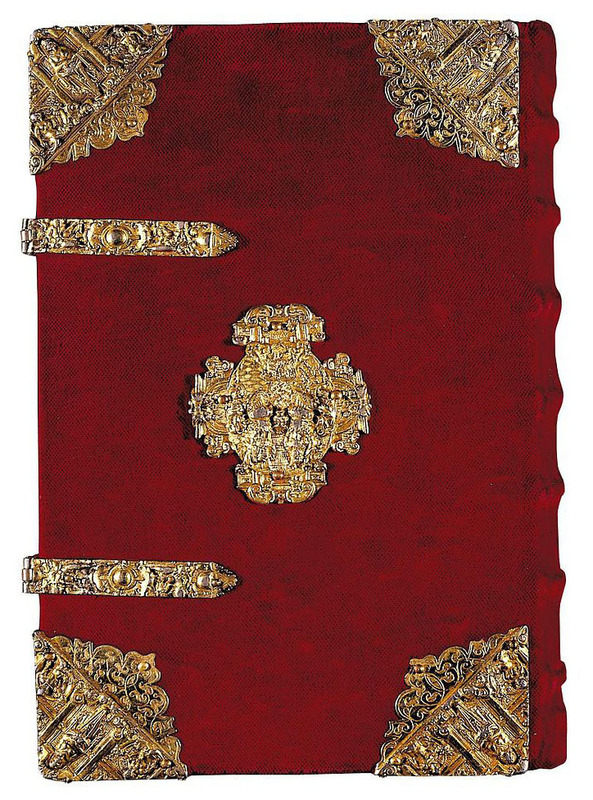 The cover of the Rothschild Prayerbook as more gold than the rest of the book, but nobody's ever tested it to see how pure the karat gold in its hardware is. Credit: Wikimedia Commons Public Domain. Now for a quick question: Did any of those books contain gold? The answer is yes, one of those rare books contained gold. Can you guess which one? Now for another question: Which contains more gold in that book, the hardware or the illustrations? The answer is that the gold hardware on the cover of the book contains much, much more gold than all the 254 inside illustrations do together. We don’t know just how much, because nobody has torn the book up and tested the gold it contains. Now Let’s Ask Again, How Much Gold Is in Rare Books? As beautiful as they are, the illustrations inside the Rothschild Prayerbook just use gold leaf. Credit: Wikimedia Commons Public Domain. The general answer is that old books almost never contain enough gold to recycle profitably. Even though you can see a lot of square inches of gold on display in some old illuminated manuscripts, what you are really seeing is gold leaf. For a quick review, gold leaf is karat gold that has been beaten or rolled repeatedly until it is so thin that you would need dozens of square feet of the stuff to add up to even one ounce of gold. So in the case of nearly all antique books that have illustrations that embody gold leaf, the collectible value of the books far outweighs the value of any gold they contain. So the reason to invest in rare books is because they should increase in collectible, not metallic, value. What about rare books that contain beautiful gold hinges, clasps and other decorations on their covers, you might ask? The answer to that question is, it depends. The gold on the covers of The Rothschild Prayerbook would doubtless be worth money if somebody pried it all off and sent it to a qualified gold refinery like Specialty Metals Smelters and Refiners. But the cost of the damage done to the book would far outweigh the value of the recycled gold. In nearly all cases, rare books become valuable because of their collectible, not metallic, value. If you want to collect rare books, that’s great. But remember that their value results from their rarity and history, not from any metal they might contain. One exception? If you search for the term “silver book” on eBay, you will find some old books and book-shaped lockets that have covers that are made of sterling silver; in some cases, the value of the silver could be greater than that of any texts they contain. But that’s the exception to the rule.